Soter Vineyards is an award-winning winery located in the heart of Oregon wine country. On their 240 acres of land, they not only grow grapes (vines occupy 40 acres), but also raise livestock, grow a garden that stocks their tasting room, and maintain edge habitat for pollinators and wildlife. 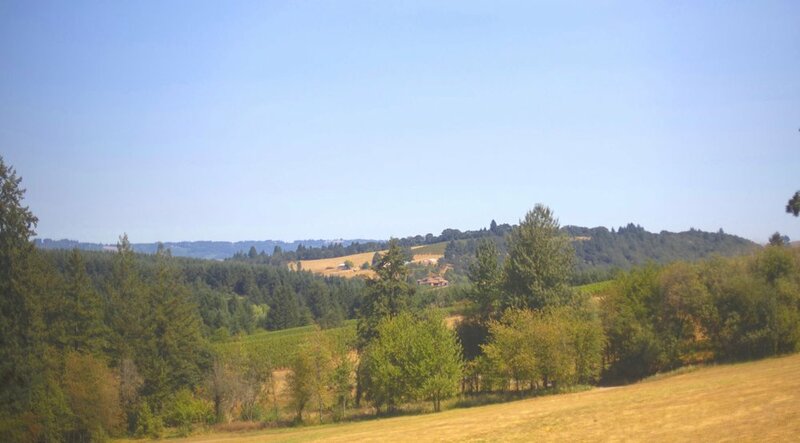 Soter Vineyard is a certified Biodynamic farm. With such a strong focus on being a biodynamic farm, they make sure to maintain the acres and acres of edge habitat around their vineyards to attract pollinators. “Grapes are a monoculture and there’s nothing that bees want,” says Ranch Manager Nadine Basile. “We give them a home here.” In Soter’s garden, which is alive with bees of all different types, Nadine makes sure to plants herbs and flowers that bees like, such as Thai basil, sunflower, daisies, and verbena, not only so the bees are supported but also because they help pollinate the garden. Soter also runs on the “whole farm philosophy,” which means they are highly selective when using chemical products anywhere on their land. Tony explains that they let natural predators – from falcons to yellowjackets – deal with pests, and they haven’t even encountered a need to spray chemicals. “Hopefully what we do here will radiate out and expand into the broader public,” Nadine says. With such a strong focus on being a biodynamic farm, they make sure to maintain the acres and acres of edge habitat around their vineyards to attract pollinators. Portland natives Tony and Michelle Soter met in Southern California and returned to Oregon after getting married to start their wine business. With Tony’s background in Napa and Michelle’s experience in sales and marketing along with her passion for organic crops and caring for the environment, Soter Vineyards is in capable hands. “Growing great wine is not inconsistent with doing it organically and caring for the environment,” Tony says. Tony Soter and farm manager, Nadine Lew.